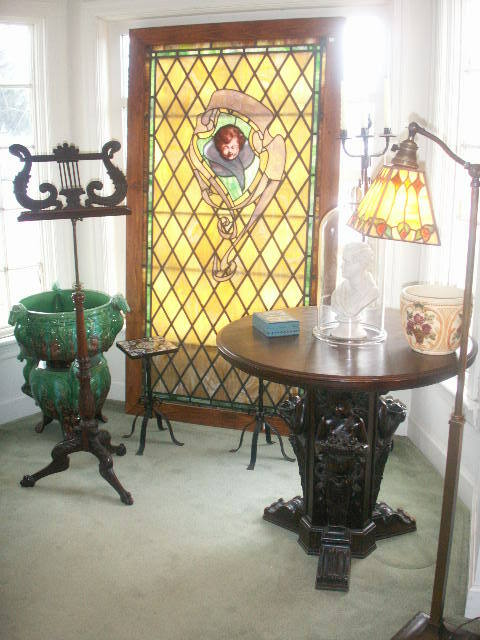 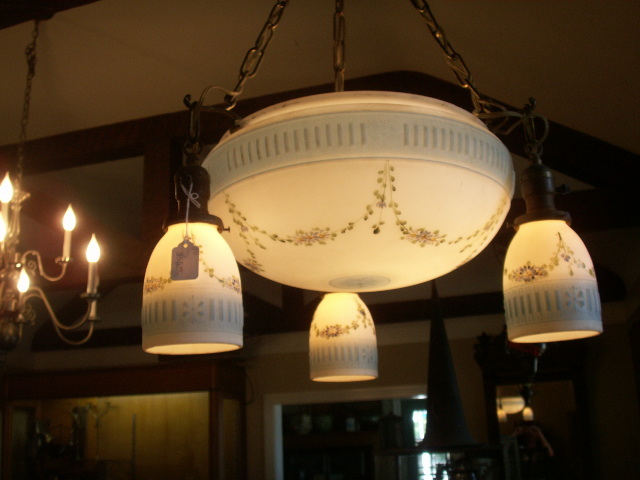 We especially like the decorative lighting of the 1920's by makers like Rembrandt and others, that feature metal mesh or mica shades...these fill the shop with a warm and cheerful glow, and you will love this effect in your home...We also like quality leaded glass and reverse-painted lamps, signed or unsigned, by makers like Duffner and Kimberly, Tiffany, Bradley and Hubbard, Wilkinson, and Handel. 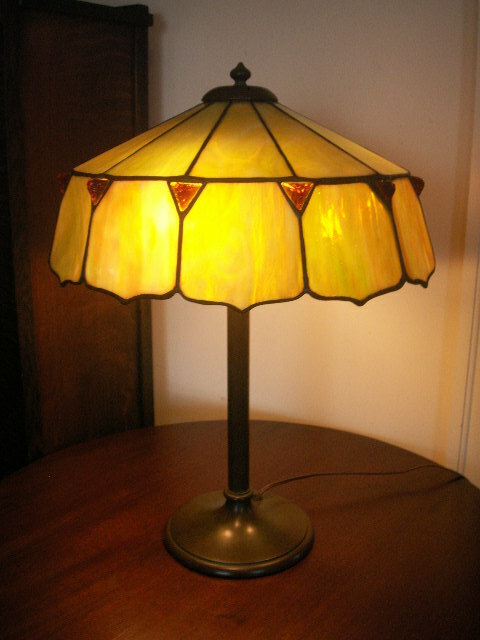 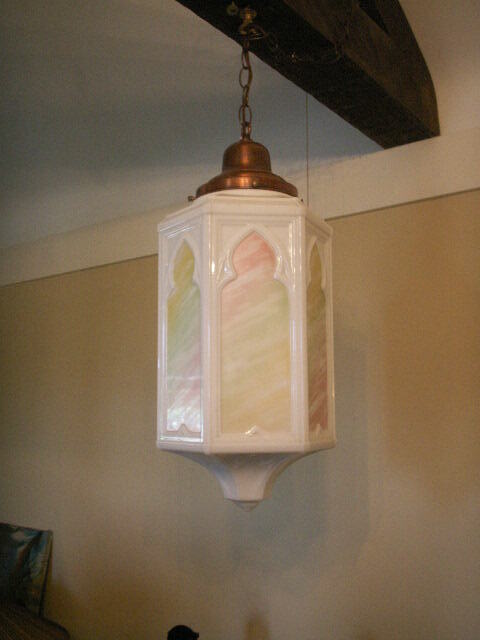 Another special interest is art glass lighting by makers like Durand and Steuben. 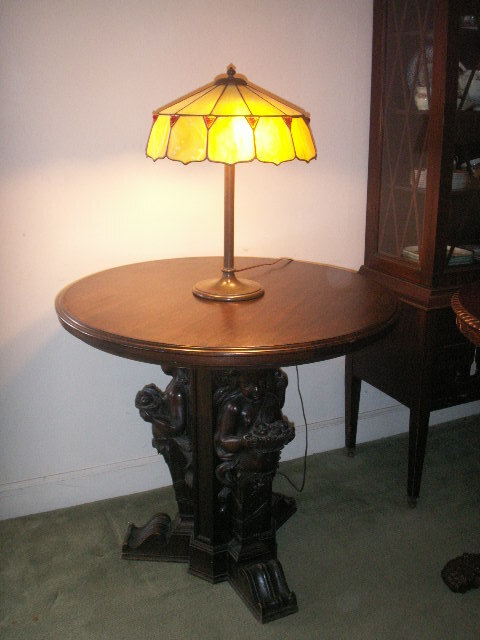 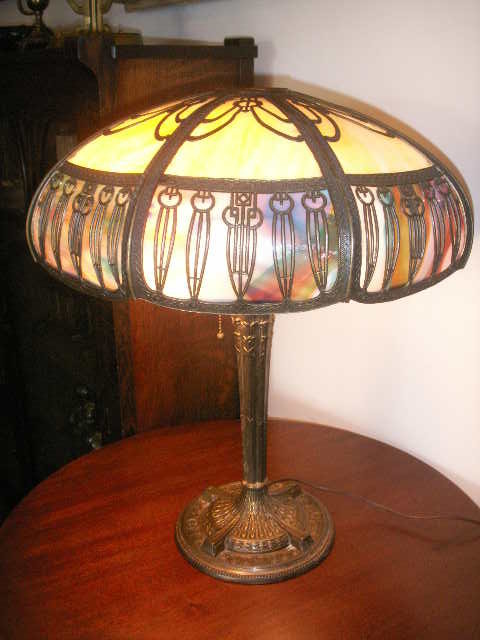 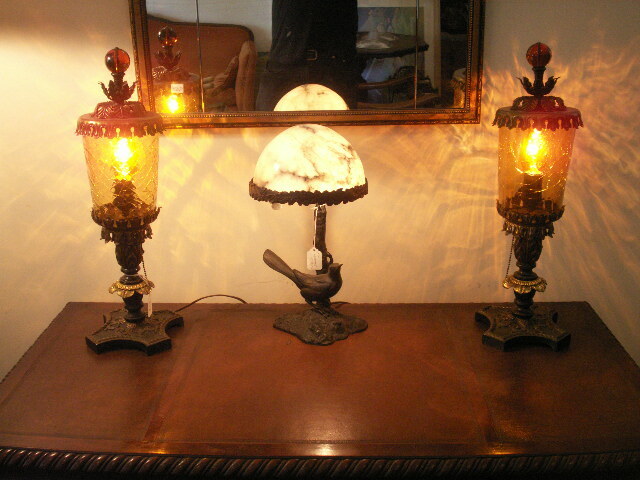 We also love the figural lamps of the Art Nouveau and Art Deco periods!